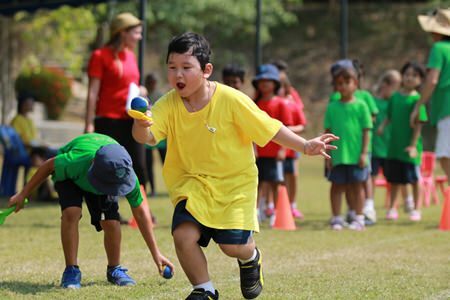 Garden International School recently held its annual inter-house sports day, an event which involved lots of throwing, running and cheering. 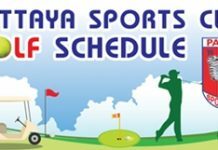 The day was divided into two parts featuring running events and field sports. 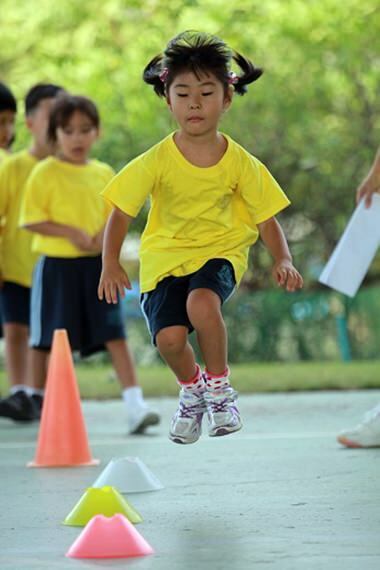 Things kicked off with the field events, which consisted of javelin, shot putt, discus, long jump and triple jump. By the end these competitions the leading team was Tiger House with 100 points. 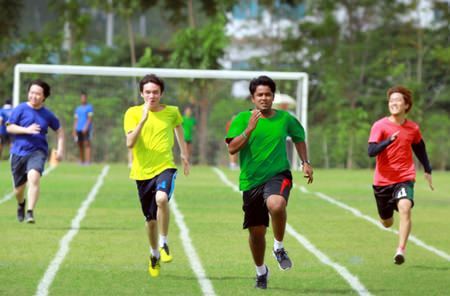 GIS students race for the line in the 100m sprint. After a short break came the foot races, which started off with a 1.5km cross country mini marathon and was followed by a 100m sprint where the athletes shot along the track like bullets from a gun. The 400m and 200m races followed in swift succession and then it was time for the relays, where everyone took part. Finally an 800m race brought the morning’s sports events to a close and into a lunch break. The egg-and-spoon race was very popular with students and spectators. In the afternoon it was time for some fun events. 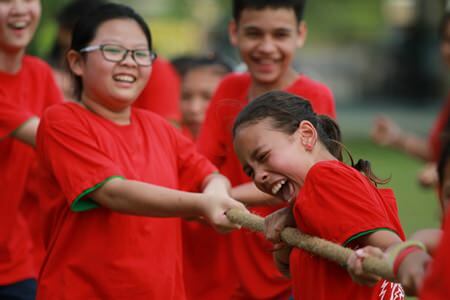 Students hobbled through the sack race, and then battled each other in the water race where they had to carry water in perforated tubes to fill bottles at the end of the course. After this came the last but most awaited event of the day, the tug of war. The overall winners of the sports day were Cobra House with 248 points, followed by Tiger who were 5 points away, then Gecko, who were 7 points back, and finally Eagle with 222 points. 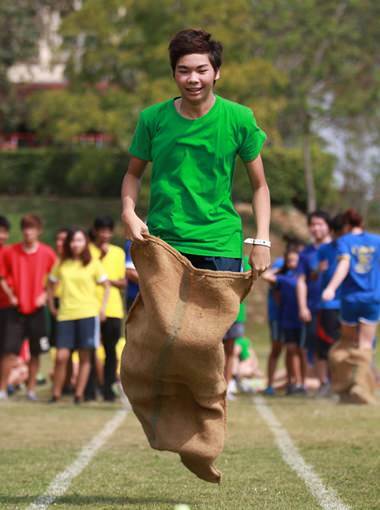 The sack race is always fun to watch. 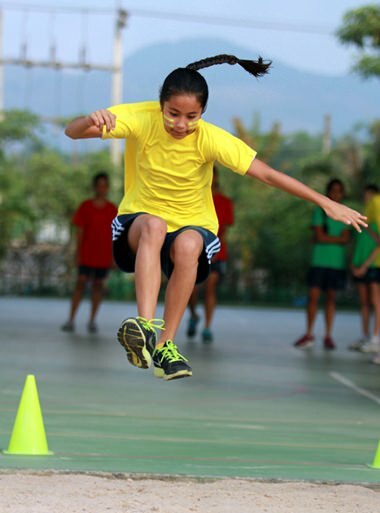 A GIS student leaps during the long jump.